Mini Folding Compact Pocket Umbrella 41"
This ultra portable mini umbrella is the perfect solution for keeping dry on a rainy day. Super compact, this can easily be kept in your pocket, handbag, suitcase, car and more. Never get caught out by the rain again. 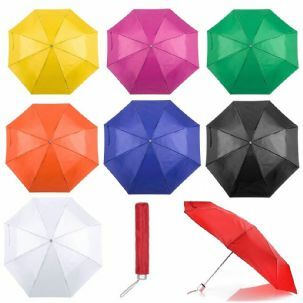 The umbrella has a telescopic handle which extends to measure 54 cm long and opens to have a span of 105 cm (41"); the umbrella essentially goes from being a compact little item to a generously sized umbrella, enough to keep the sun rays off your back and to protect you in winter from rain and hail. The brolly is supplied with a lightweight polyester case to keep it protected and compact and is also included with a strong synthetic carry handle. 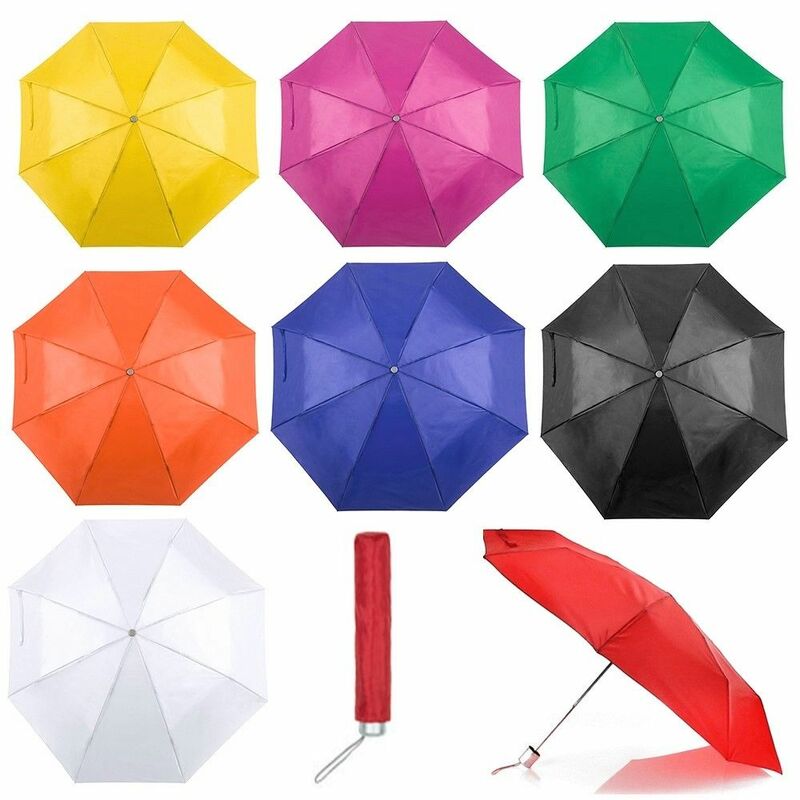 the umbrella has 8 panels of bright colour and also has a silver metallic shaft ,ribs and handle. Available in 8 colours: Black, White, Red, Orange, Green, Pink/Fuchsia, Yellow and Blue. To choose your selection please use the drop down list above to choose the colour you would like.